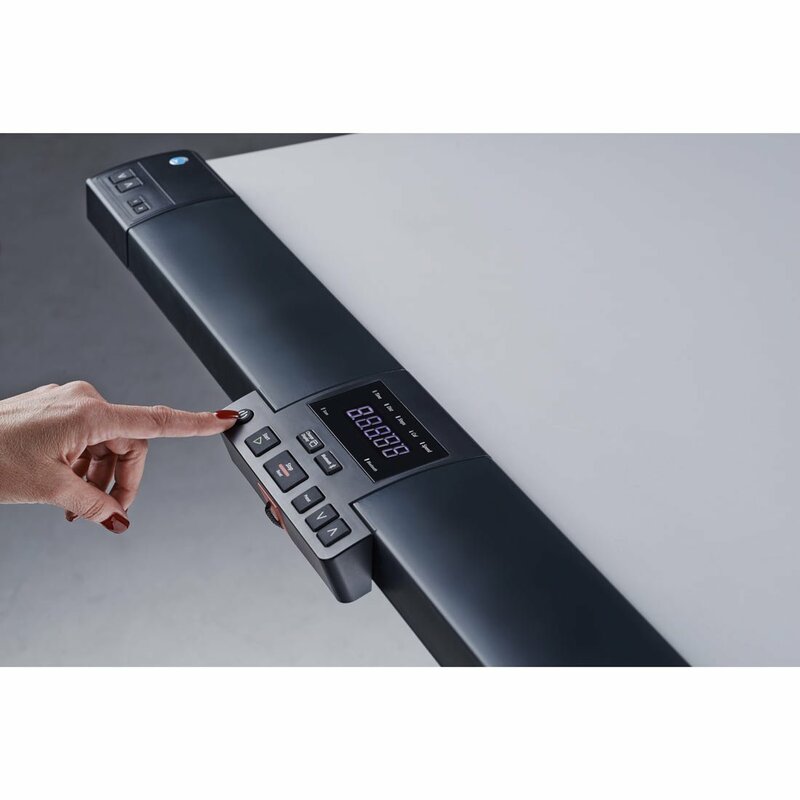 The LifeSpan TR1200-DT7 Desktop Treadmill is designed for those who work at a desk or in an office all day and want to stretch their legs without having to reduce productivity. This device includes a desk with ample space for a computer or books to allow a user to continue to get work done while getting exercise. Unlike traditional treadmills which force users to spend time away from their desks or use alternative mediums such as audiobooks or large televisions to get work done, this device allows users to interact and view information while getting a brisk workout. This Lifespan treadmill makes it easy to work out while still being productive in an office. Users can put anything they want on the desk such as a laptop, phone, or even a computer monitor. Those that use this treadmill can even stop its movements and simply stand while using the desk in an office. This means that users are able to use this device as their regular office desk instead of needing to constantly move back and forth between both workspaces. By standing or walking while working out all day, users will be able to maintain healthier lifestyles and stay in shape, which can increase life expectancy and make users feel great. Many don’t realize that it is actually very unhealthy to sit all day at a computer without standing up to get some exercise. Unfortunately, those that wish to stretch their legs will either need to run in place or spend time away from their productive activities in order to get cardiovascular exercise each day. For users who own this Lifespan treadmill, walking all day is simple and productive. This can yield a substantial workout that can make office workers healthier and make offices a more enjoyable place to work. The applications for this treadmill are enormous when considering how a company could leverage this technology to make their workplace a better place to work. 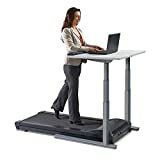 Companies could get one of these devices and put it in a general employee working area to allow everyone in an office to enjoy the benefits of working out. Companies can also use this device as a way to reward those who do outstanding work by giving them this treadmill as compensation for their efforts. Finally, many may even be able to convince the company that they work at to buy this device for them in order to cut down on costs associated with long-term gym memberships and to cut down on insurance premiums. As an actual treadmill, this device offers exceptional performance that is designed for casual use within an office. The treadmill is Bluetooth enabled, which enables users to sync the device with their computer in order to get data from previous runs and create specialized running programs. To make the treadmill safer, it includes the “Intelli-Guard” system, which automatically stops the belt in the case of a fall or if the user steps off the belt. Since users may be of different heights and sizes, the device offers an electronic height adjustment which enables the user to adjust the height of the desk in order to bring it up or down to their level. Unfortunately, the device is mostly designed for casual in-office use. The device is limited to four miles per hour, which for many users may not be enough for aerobic exercise which demands that users run at very fast speeds for short periods of time. For this reason, the device is not appropriate for sprints or performance runners that want to train for high-speed events. Rather, the device is more appropriate for those that wish to train for something like a long marathon or simply to stay in shape. It is unlikely that a user would actually want to do a full aerobic run while trying to operate a computer. Especially while using a mouse, the LifeSpan TR1200-DT7 Desktop Treadmill could be very difficult and probably impossible for most users. This means that the speed limitations of this device really shouldn’t stop individuals from getting the most of this device simply due to these limitations. Quite simply, this treadmill really offers office workers everything that they need in order to stay in shape while working at an alternative desk.